What Happens After I Reach Black Belt? Most people think receiving your Black Belt means you are an expert, but this is not the case - The learning has just begun! 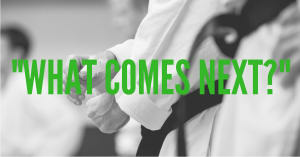 There is so much to come after Black Belt or the “Shodan” rank. In fact, in Japanese this translates to “First Step” or “First Stage”. The IMC syllabus goes up to Godan/5th Dan with increasingly difficult gradings for each level. After 5th Dan, the ranks are awarded on an honorary basis as your head instructor will decide if you have reached a level deemed worthy of your next rank. Remember that your Martial Arts journey should not be confined to just Karate. 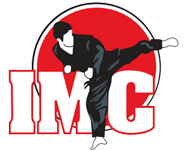 At IMC we offer Kickboxing, Brazilian Jiu-Jitsu and MMA. A complete Martial Artist should be proficient on the ground, standing up and everywhere in between. 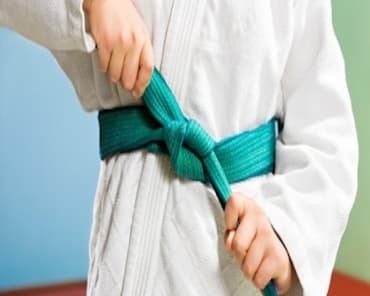 In addition, there is nothing more humbling than going from a Black Belt in one style, to a white belt in another and realising how much more there is to learn. Many Black Belts wish to test themselves and their skills in the competitive arena. At an amateur level, we recommend the ISKA Australia circuit. As you get better, you will have the opportunity to join the Australian National Team in competing abroad. In recent years, ISKA Australia has travelled to Germany, USA, Greece and Jamaica. Alternatively, Fight Nights and other circuits are available for fighters looking to test their skills in the ring. Finally, for the most dedicated individuals at IMC, each year we are offering more and more up and coming Martial Artists the opportunity to teach Karate as a career choice. 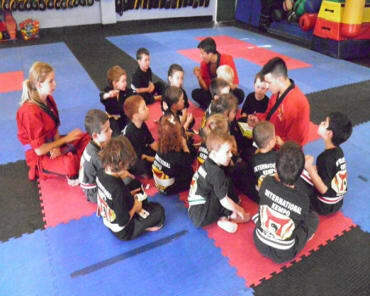 You would have done some assisting with classes as a requirement to passing your Black Belt exam and if you enjoyed it, we have the Leadership Program designed to mould young Martial Artists into role models for the next generation.